Today we drove from Lille in France to Hannover in Germany via Belgium and the Netherlands. I’m getting used to driving on the right and the roads were very good so it wasn’t too bad. 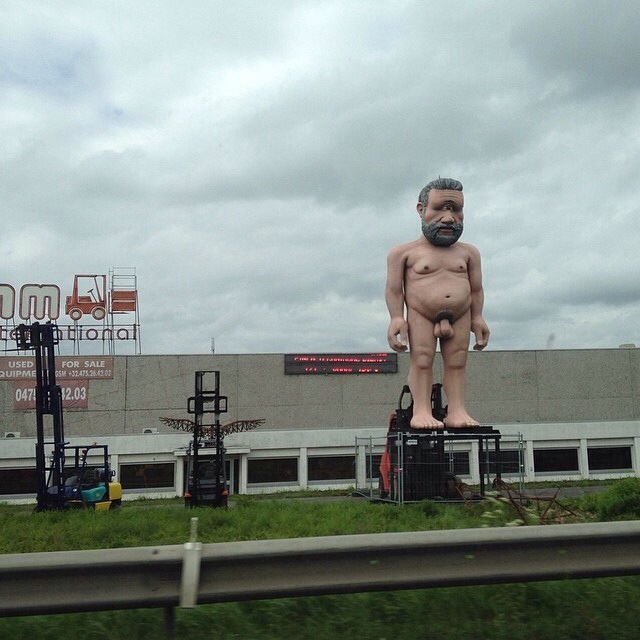 Besides driving on the German autobahn the highlight was seeing a random large naked cyclops by the side of the road. I didn’t get a photo myself but here’s one someone’s else took. I assume there’s a reason for having a large naked cyclops but I’m not sure what it is. I so want to know what the reason is. 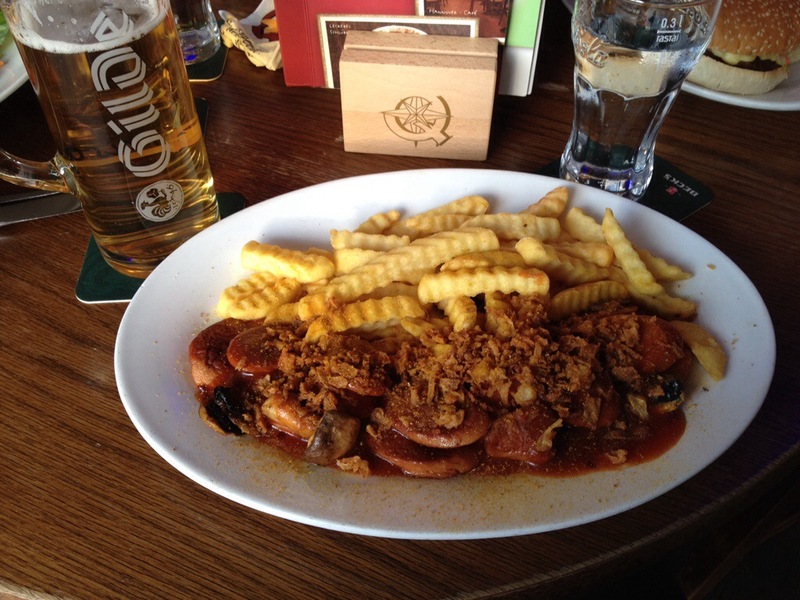 I missed the currywurst the first time round! Too distracted by the naked cyclops man. What was the verdict-tasty?